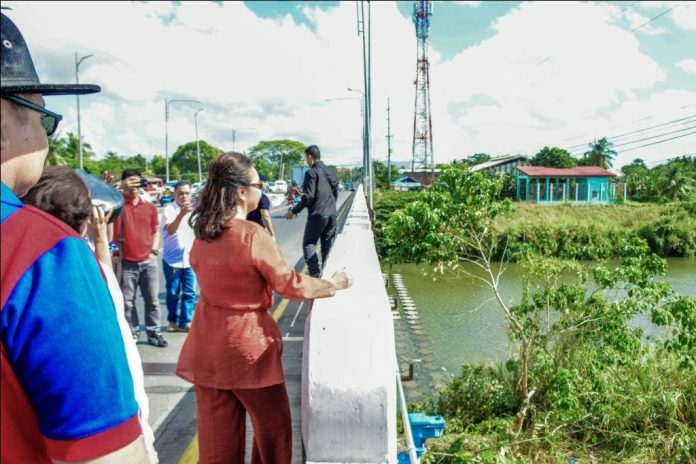 ILOILO City – Former president Gloria Macapagal-Arroyo hailed the Iloilo flood control project constructed during her administration as the backbone of the progress currently being enjoyed by this city and Iloilo province. It solved the perennial problem on flooding, said Arroyo – now Speaker of the House of Representatives – during an inspection of the flood control yesterday in Barangay Buhang, Jaro district. “Before the floodway was constructed, no one wanted to invest in Iloilo. Ngayon walang flood, investors are rushing in to Iloilo,” Gov. Arthur Defensor Sr. told Arroyo. The governor accompanied Arroyo during the inspection together with Cong. Jerry Treñas. 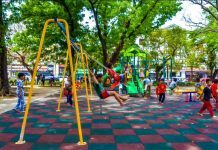 “I’m really happy to see what Iloilo has become. We opened a lot of possibilities during our time,” said Arroyo. Started in 2008 and completed in 2011 or a year after the Arroyo presidency, the P5.5-billion flood control involved the construction of the Jaro Floodway, the improvement of the Tigum and Aganan rivers, as well as improvements of the Jaro River mouth, the Iloilo River and Upper Ingore Creek. Arroyo said she would relay this and other concerns to the House’s Disaster Management Oversight Committee for possible intervention. The floodway is becoming silted. “Let me have a briefing (with the Department of Public Works and Highways). I need the details,” said Arroyo. The multibillion-peso flood control was financed through a loan from the Japan Bank for International Cooperation. The National Economic and Development Authority initially rejected the flood control project due to its supposed lack of financial return, Arroyo said, but she overturned such decision. “I am an economist. 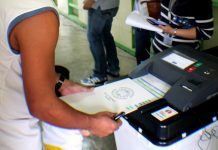 I knew the project’s importance to the people of Iloilo City and so I overturned the NEDA (decision),” she said. 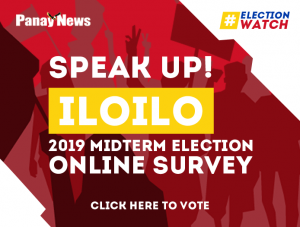 Congressman Treñas, the Iloilo City mayor during the Arroyo presidency, said the floodway helped avert floods that constantly affected at least 60 percent of the city. Arroyo said the flood control may be expanded to address the flood problem in the component city of Passi. Previous articleMiag-ao’s fruit bats as tourist attractions?